Slowly but surely I’ve come to the conclusion that my preference in perfumes tend to resemble that of a 12 year old preteen girl rather than that of a someone in their 30’s. But I can’t help it…I love walking around smelling like cupcakes and candy!! 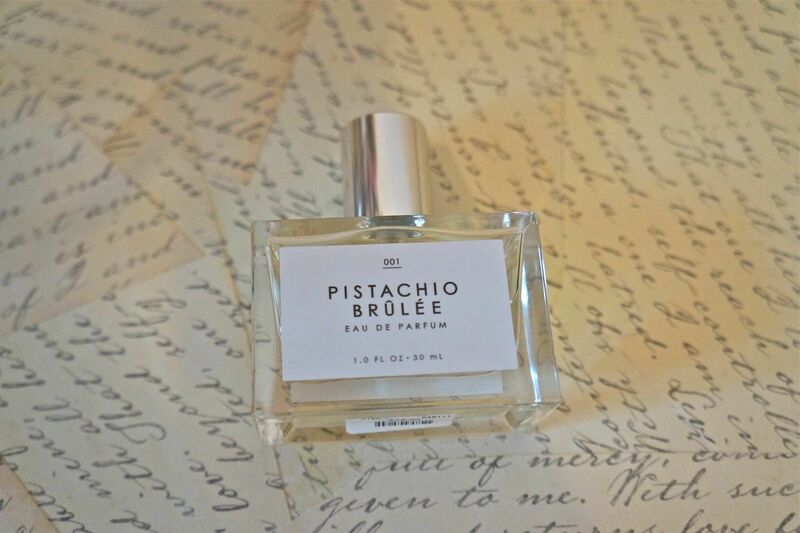 I’ve gone through my fair share of Aquolina Pink Sugar and Prada Candy perfume bottles, so I was more than elated when I found this Pistachio Brûlée perfume at Urban Outfitters!! As soon as I sprayed this perfume in the store, I knew I had to have it. It reminds of yummy baked treats during the winter time…warm and vanilla-y. And at $18.00 I couldn’t really couldn’t pass it up. I’ve only been wearing this perfume for the past couple of days and have been getting a lot of compliments thus far. If you’re interest you too can get yours in an Urban Outfitters or here on their website! Previous Previous post: Welcoming the Fall Season with Open Arms!!! Next Next post: My Tried and True Shampoo and Condition Set!